If these sound like values you connect with, then maybe Donesafe is the right place for you. Here there be geeks. Curiosity, creativity and a sense of fun are core to what makes Donesafe's culture what it is. Always be tinkering. Be resourceful and find a way to get it done. When we're faced with a problem we work it until it works. This often means being creative and thinking outside the box. Always be crushing it... safely. When you're doing something you love, let that flow through into your work to create great, crush-worthy things. We're all about finding new ways to do things; fixing problems and legitimately trying to make a difference. Our work is meaningful and can legitimately help people. With Donesafe, what you see is what you get. We're the people's safety software, both externally and internally. Everyone in the team has a voice and honesty and trust are core to how we operate. To learn more or to apply, click the job titles below. "I've been with Donesafe for a good while now, and I can honestly say it's one of the most welcoming, enjoyable places I've ever worked. Being part of such a fast growing business is exciting, and it's great to be a part of it." Donesafe is for people; both internally and externally. The People's Safety Software looks after it clients AND its team. Authenticity lies at the heart of what makes Donesafe, Donesafe. Honesty, respect and friendliness are our cornerstones. Donesafe are clever tinkerers. When we see a problem, we hit it until it's solved; regardless if it's on the platform or internally. Compliance software shouldn't be dry and neither should any task. We build awesome things, for awesome people. 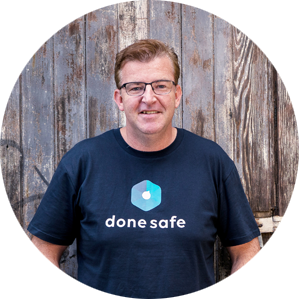 "I started with Donesafe as an advisor, but once I saw the progress, came onboard as a full-time employee. It's an honour to be part of such a fast-growing, innovative business"
Join a growing team in an exciting business. Donesafe is growing fast. 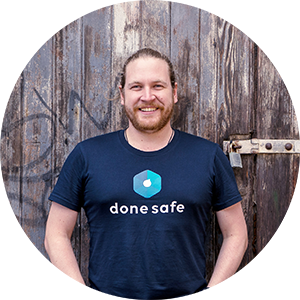 Within the last 12 months the team has doubled in size and Donesafe's user base is growing at an unbelievable pace. Join the Donesafe team now, and take off with us. All of this is made possible thanks to our in-house programmers. If you have any questions about how it works, click below and ask. The Donesafe platform ticks a lot of boxes. To see if it ticks yours, click below to read about the Donesafe features. Want to talk to us? Just fill in the form below. Interested in working with Donesafe? Leave us a message below and we'll get in contact!